Graceful Foliage Monogram Set - 6 Sizes! This is an absolutely gorgeous monogram! Ideal for linens, wedding gifts, accessories and so much more! Available in tons of sizes. Works great for single or 3-letter monograms. There are no left/center/right letters for this set. To use for 3 letter monograms, simply choose a size for the center letter and then a different size for the side letters. All letters are uniform in size except for the J – it is slightly taller than the rest of the letters to set it apart from the I. Dimensions and stitch count below based on the letter A. Includes A-Z. Satin stitch. Stitchtopia is giving 30% off all purchases! Promotion ends on 04/30/2019. Earn 5 points at checkout OR buy this item for 84 points. This is an absolutely gorgeous monogram! Ideal for linens, wedding gifts, accessories and so much more! Available in tons of sizes. 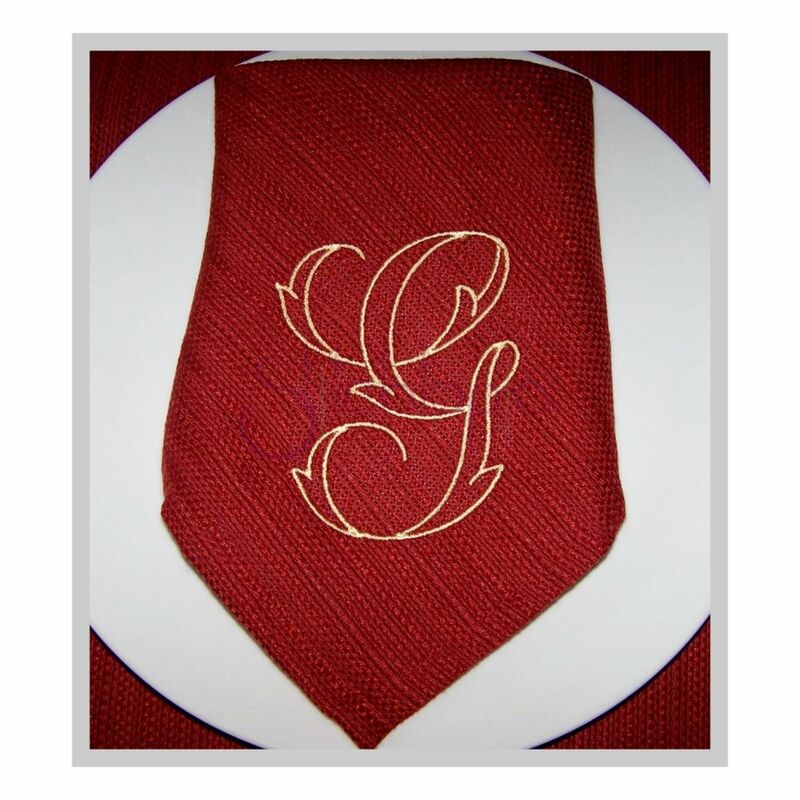 Works great for single or 3-letter monograms. There are no left/center/right letters for this set. 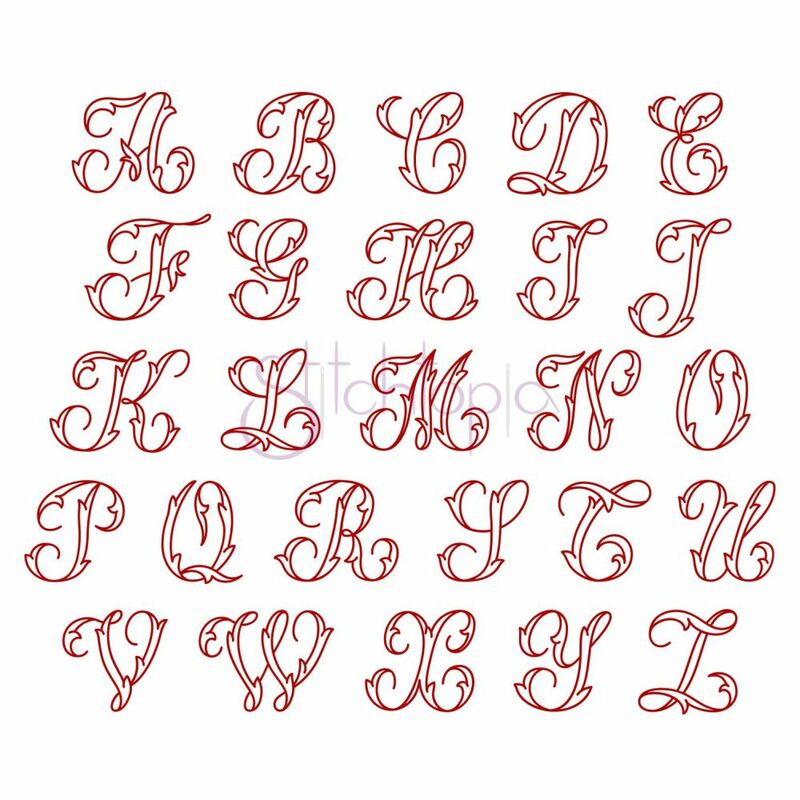 To use for 3 letter monograms, simply choose a size for the center letter and then a different size for the side letters. All letters are uniform in size except for the J – it is slightly taller than the rest of the letters to set it apart from the I.
Dimensions and stitch count below based on the letter A. Includes A-Z. Satin stitch. Leaf Wreath - 5 Sizes! Fall Leaves Split Frame - 7 Sizes! Milan 2 Monogram - 5 Sizes! Pumpkin Embroidery - 10 Sizes!